The United Nation's International Day of Older Persons, is celebrated on 1st October. The aim is to raise awareness of the impact of an ageing population and the need to ensure people can grow old with dignity. Towards Human Rights in Residential Care for Older Persons, addresses important issues surrounding our growing elderly population, with a particular focus on older people in residential care in major regions throughout the world. People are leading significantly longer lives than previous generations did, and the proportion of older people in the population is growing. Residential care for older people will become increasingly necessary as our society ages and, we will require more of it. At this moment in time, the rights of older people are receiving attention at international and regional levels with the United Nations exploring the possibility of a convention for the rights of older persons. In 2015 the Americas were the first region in the world to adopt a convention protecting the human rights of older persons and in 2016, the African Union adopted a Protocol to the African Charter on Human and people's Rights on the Rights of Older Persons in Africa. 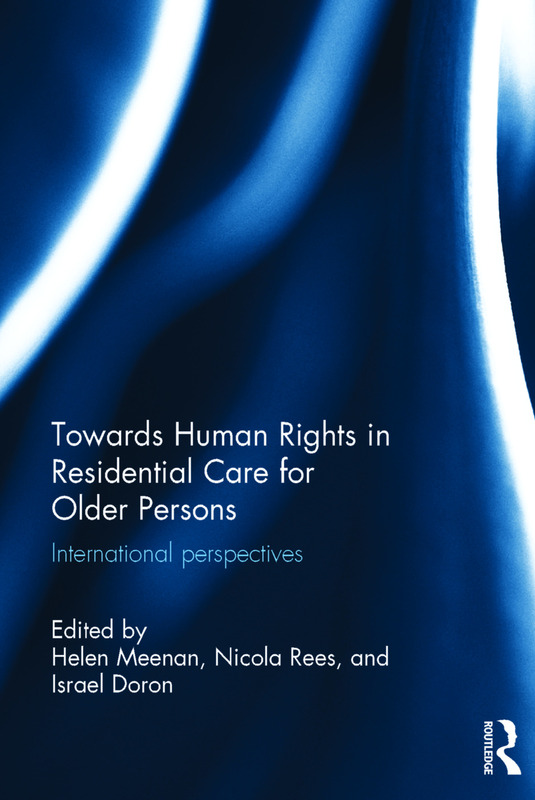 Towards Human Rights in Residential Care for Older Persons: International Perspectives, is edited by Helen Meenan, Nicola Rees and Israel Doron. This book explores the rights of older people and their quality of care once they are living in a care home, and considers how we can commence the journey towards　a human rights framework to ensure decent and dignified care for older people. The book takes a comparative approach to present and future challenges facing the care home sector for older people in Africa (Kenya), the Arab world (Egypt), Australia, China, England, Israel, Japan and the USA. Significantly, it also explores dignity as a theoretical and legal construct in the context of care of older persons and their developing human rights agenda. Click here to find out more about this title. Click on the cover below to read the first part of this book.